The Web Finds posts are likely to move back and forth to fit in with life here in the next few weeks, so occasionally Wednesday instead of Tuesday and sometimes Sunday instead of Saturday. 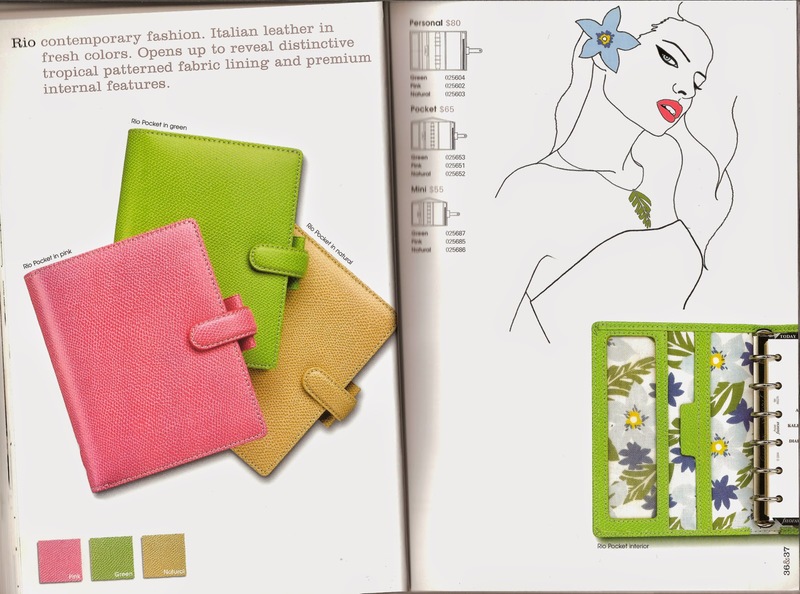 Thank you everyone for all the comments on the short review of the Filofax Nappa zip organiser last week. A record number of comments on a single post or one of the highest we have seen in a long time I'm sure. 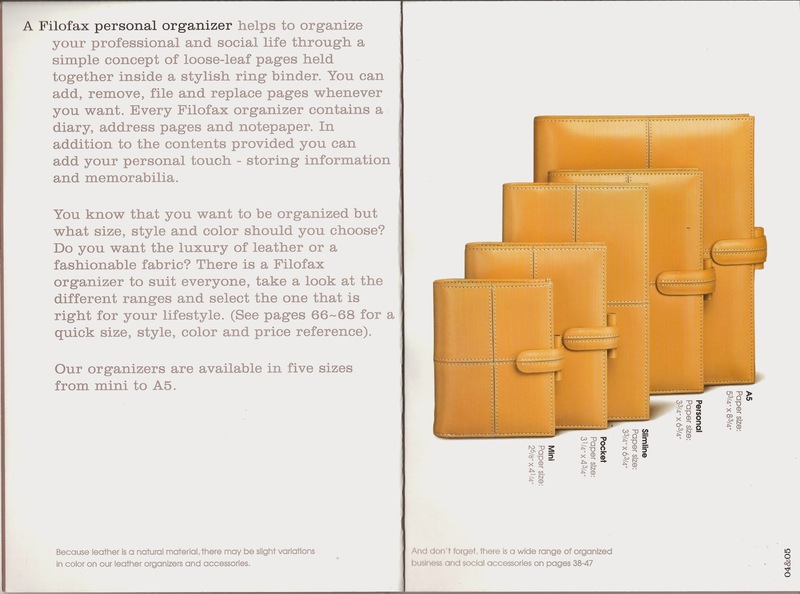 So sadly there can only be one winner of this organiser... and that is Susan. 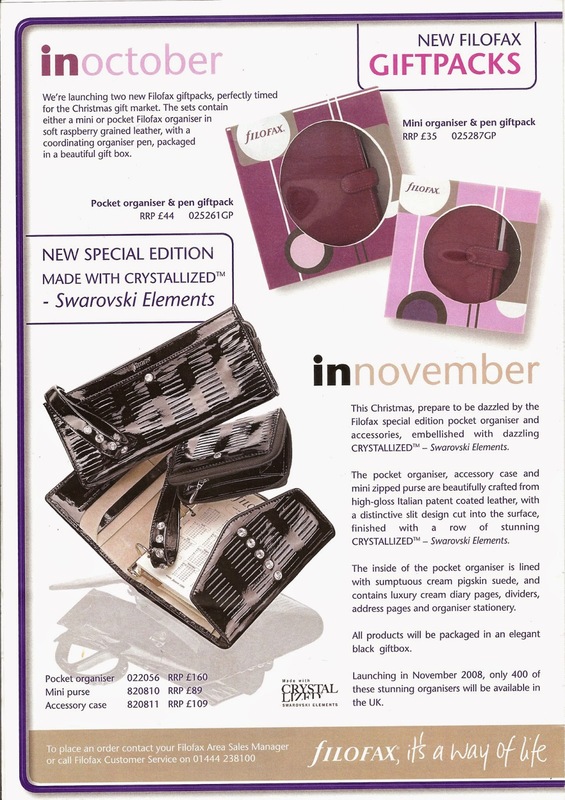 If Susan would like to contact me at philofaxy at gmail dot com we will arrange to get the organiser shipped to you. 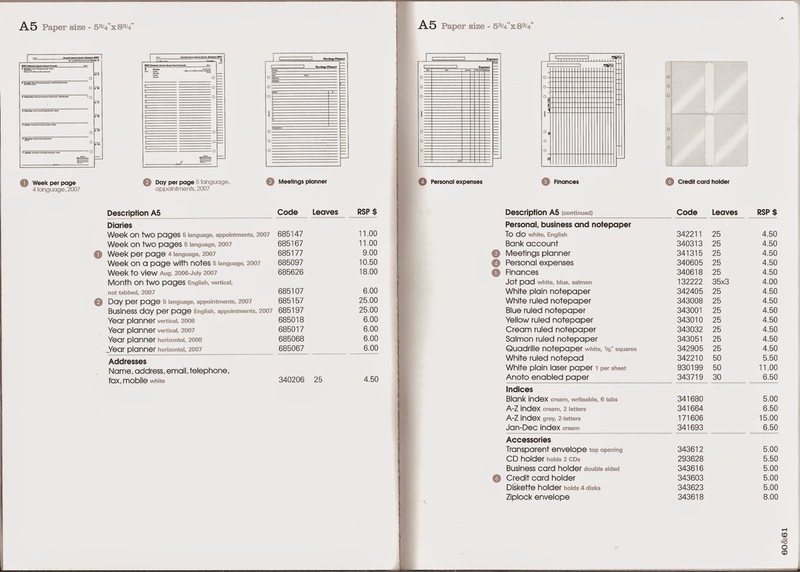 A big thank you to Appelboom for sending me the organiser to review of course. Don't forget to consider buying from them, we have added a link in the side bar with a nice surprise.. go via that link and you will discover a promo code to get a discount on your order. 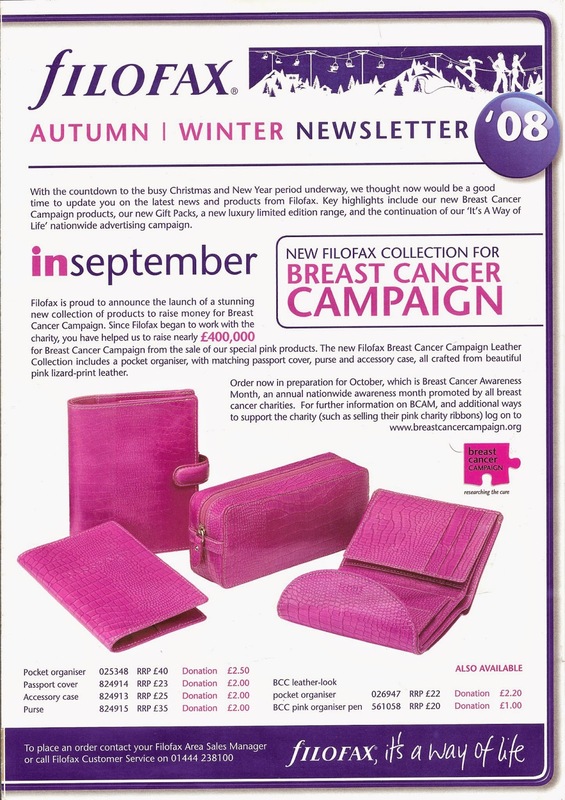 Today we take a look behind the scenes at Filofax with their newsletter to stockists and distributors from 2008. Today I would like to introduce you to Kirsti. I’m an Australian public servant working in Indigenous economic development with staff around Australia as well as a blended family of seven with various school/sport/musical/social timetables so I’m thanking my lucky freaking stars for a planning community and system to help me out! I love reading everyone’s stories and set ups and I hope Philofaxy will be around for a long time to come. 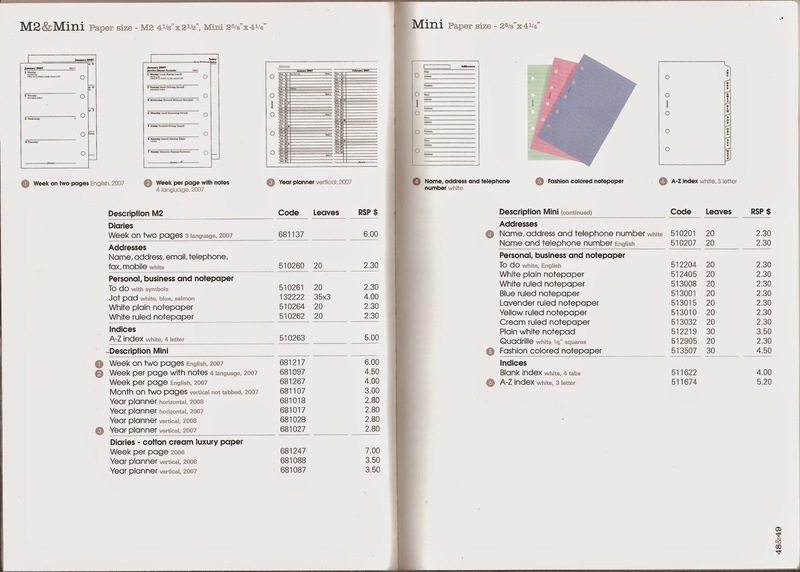 I’m finding it harder and harder to find Filofax supplies in the physical sense (stores) but the online community seems to be thriving which is fantastic. To be honest, I’m gaga about Gillio’s right at the moment. My obsession is quite pathetic. I really need to get interested in something else…. 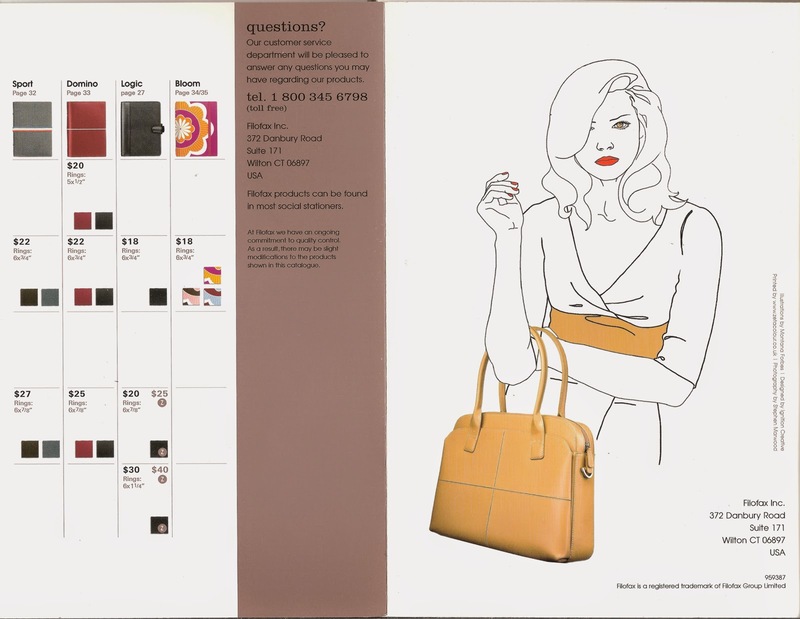 I’m pretty impressed by my gold epoca leather a5 Mia Cara Gillio, and I have a pocket black with orange coming any day now, to use as a wallet/satellite planner. 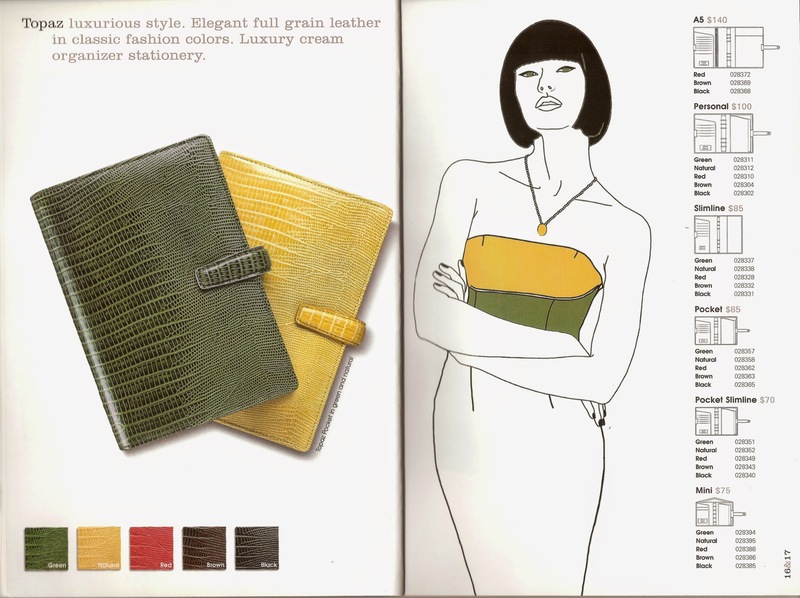 I have tried Kikki-k diaries and their version of the Filofax, but at the end of the day, I think part of the Filofax obsession is about a good quality leather product, and I feel Kikki-k aren’t quite there yet. 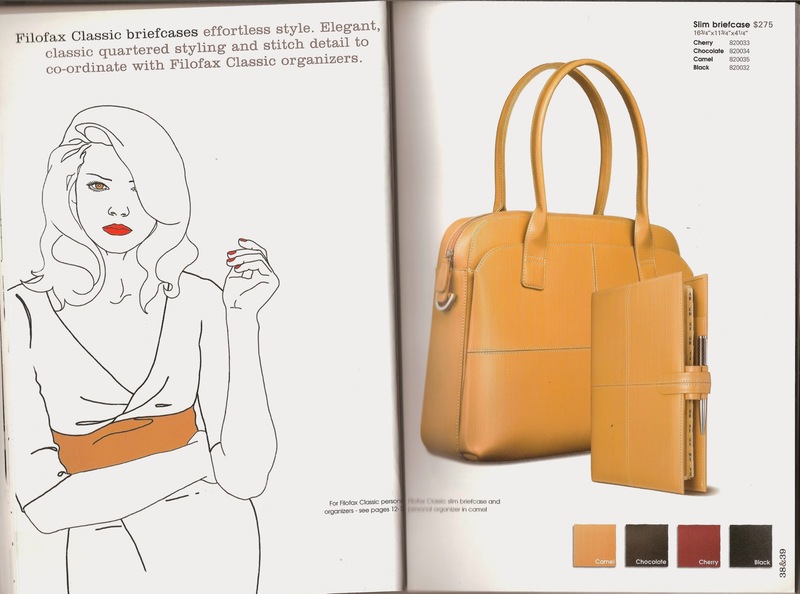 Having said that, their Stockholm brand of work bags are beautiful, so there’s a consumer tip. 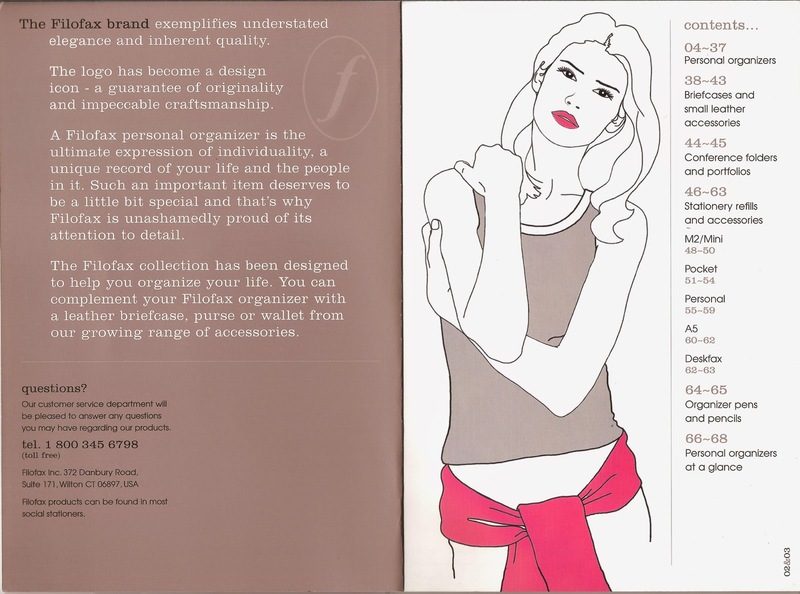 I’ve also tried Erin Condren, but at the end of the day, I’m keen to create something that works exactly with my lifestyle - a customisable system. I did spend a good part of my life on eBay waiting to purchase a Cavendish personal with its alluring 30mm rings, only to be disappointed with the style of it all. 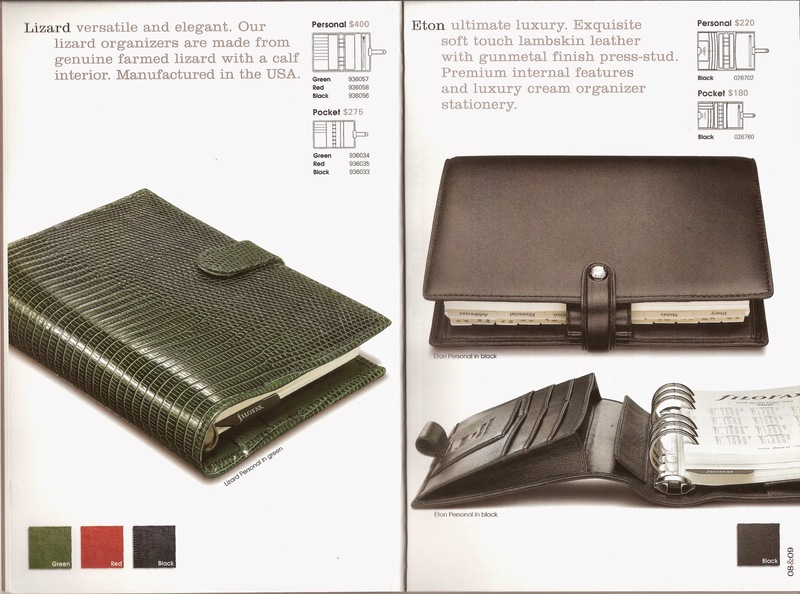 I was pretty happy with a Malden personal, and have also tried a Maldon wallet (zipped), a Classic black A5, a personal Cuban, a Calypso yellow and a Cavendish pocket. Right now I just own three original A5s, a Gillio A5 Mia Cara and I have a pocket Mia Cara coming. 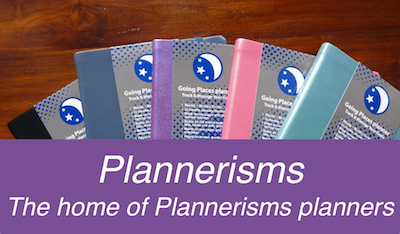 I now know that I will always be in search of the perfect planner, and for now, this week and possibly this month, I have found Gillio and I think I might have reached some state of nirvana…. My Cuban personal, which my 14 year old daughter is using. So proud. Think it might have been passed down in my DNA. LIFE. 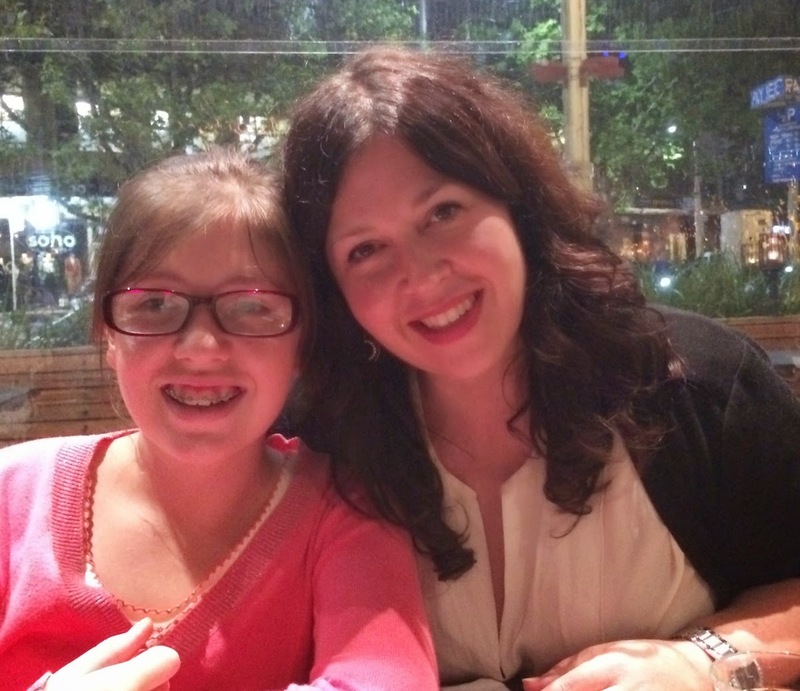 Work, personal planning, goals, dreams, recording medical notes, planning new frontiers to conquer, orthodontic appointments for my children – literally everything. I feel like recording things on some app on my iPhone 5 does not have the same effect as writing things down. I’ve hit 40 and you can call this old-fashioned without even remotely hurting my feelings. Customisation. Making it my own. 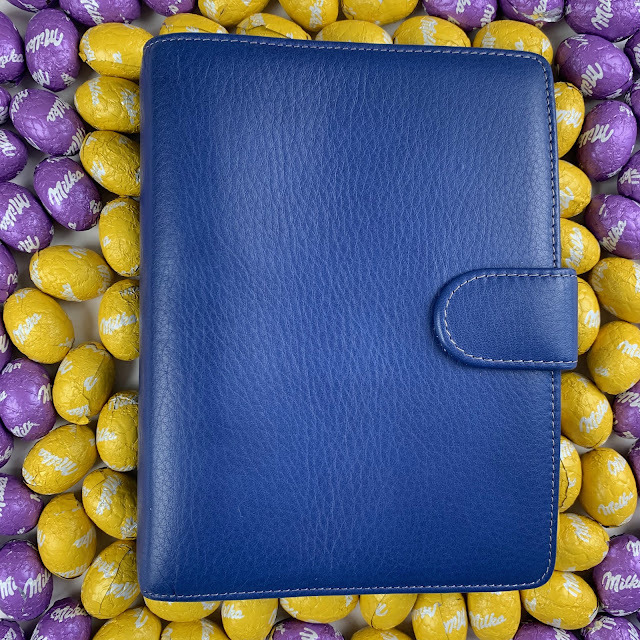 Making my Filofax exactly the system that I need to keep me and my busy life on track; to inspire me when I have the odd moment to think and plan a plan – to just to make planning fun! 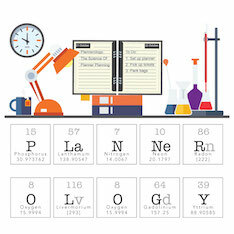 I also completely love that there is a community of planning nerds out there like me. So glad to have found you all. 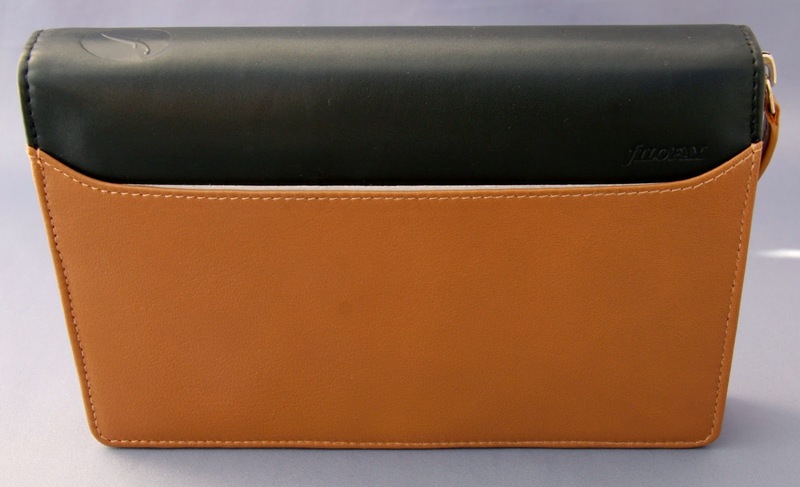 30mm rings A5 with Gillio leather, a place to put my iPhone and a properly designed place to put post it notes, instead of card holders. 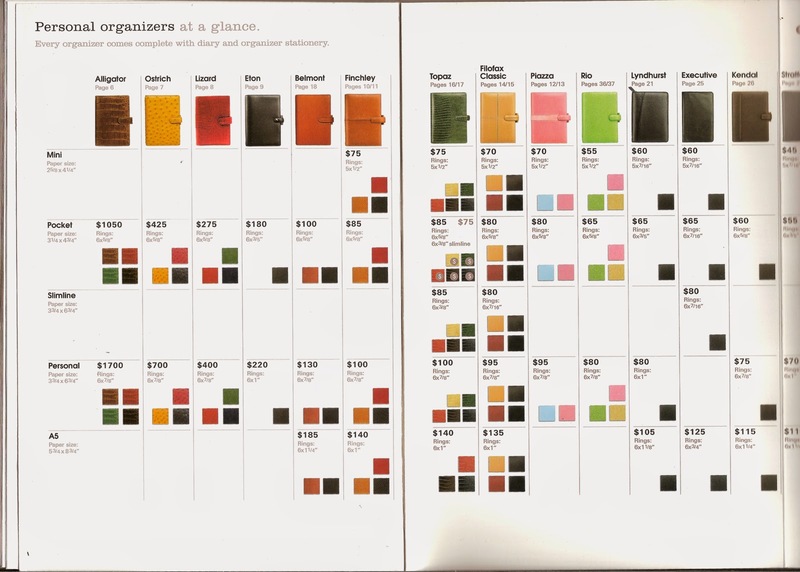 We are all stationeryphiles – let’s accept it and design planners around it. Just a few simple adjustments. Nothing major. Under my arm and everywhere. Everyone calls me old school. 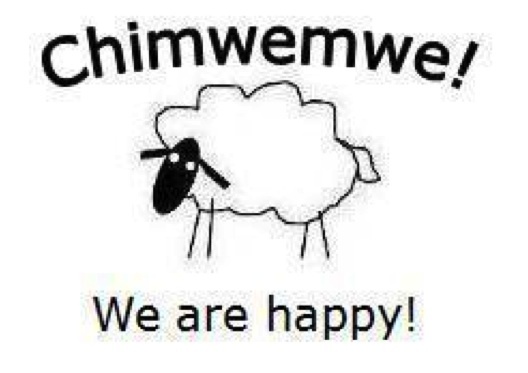 Poke fun, I say. 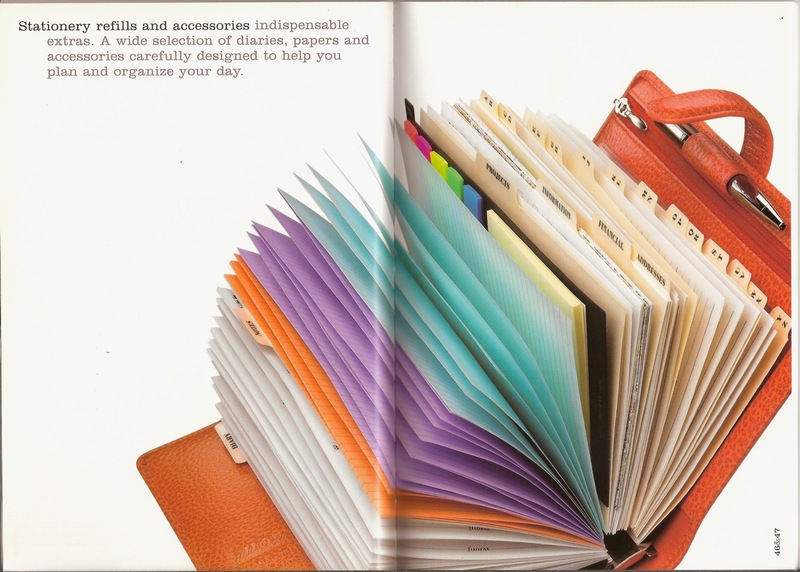 Sticks and stones… Work days – it’s in my Kikki-k Stockholm workbag; and by weekend, it’s in my Elk leather tote. I’m in planner/workbag/casual bag heaven. Are you going to buy it? I’m all Gillio at the mo. 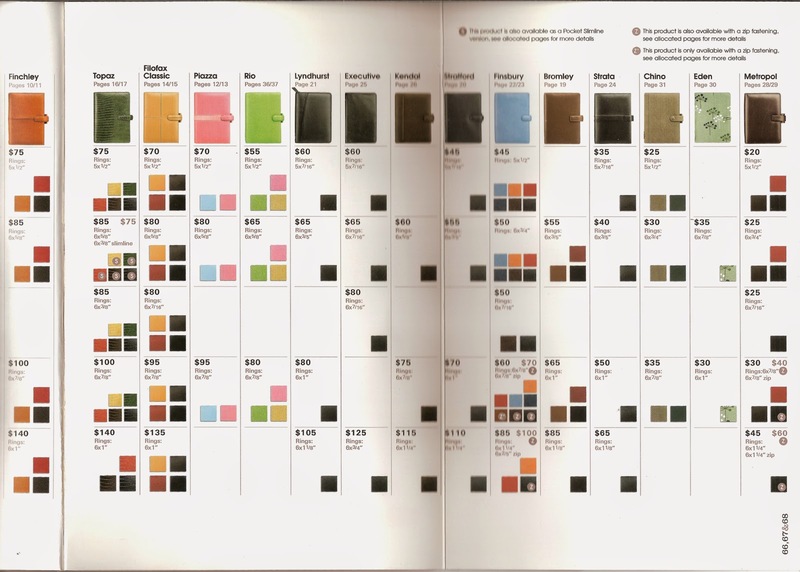 Would like some more interesting colours like the Filofax range. 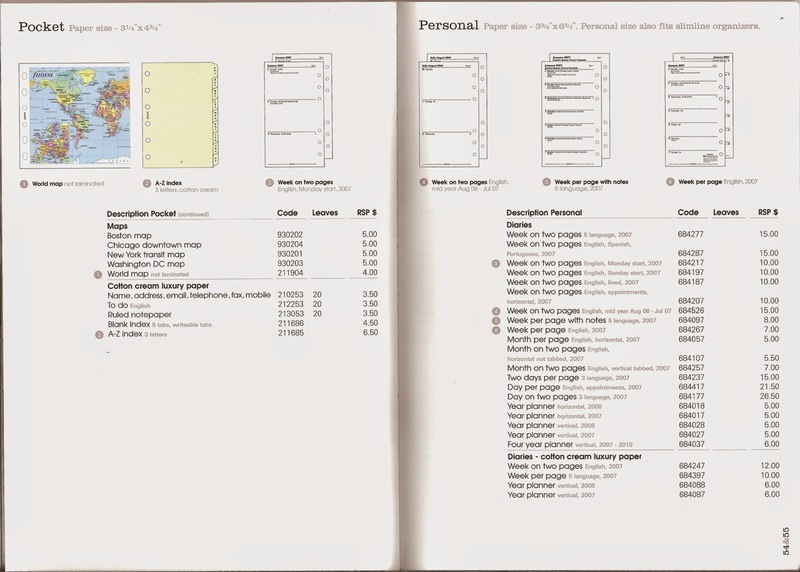 In Australia the Filofax range is limited too…. Can Gillio do a fluro-pink? Gillio for sure. Nearly had to sell an organ/child. $800 AUD. That’s the upper limit of my obsession. 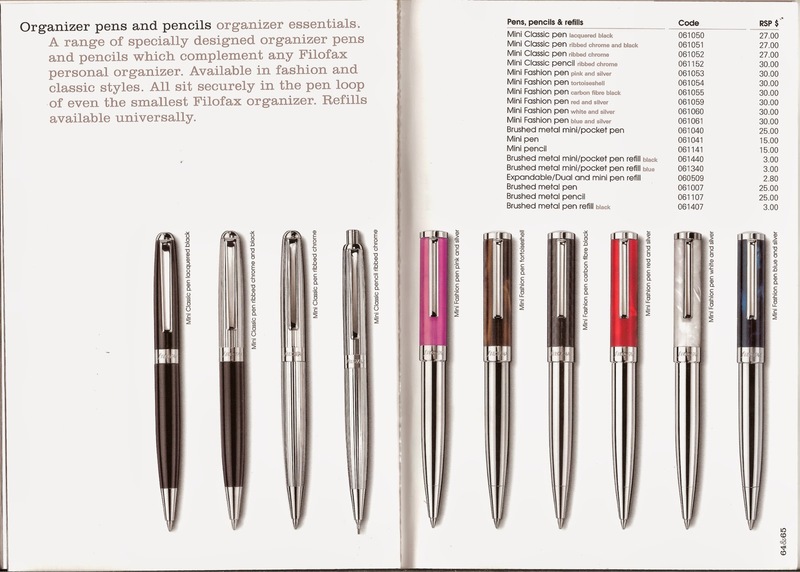 Ebay can take care of your errors in planner judgement. 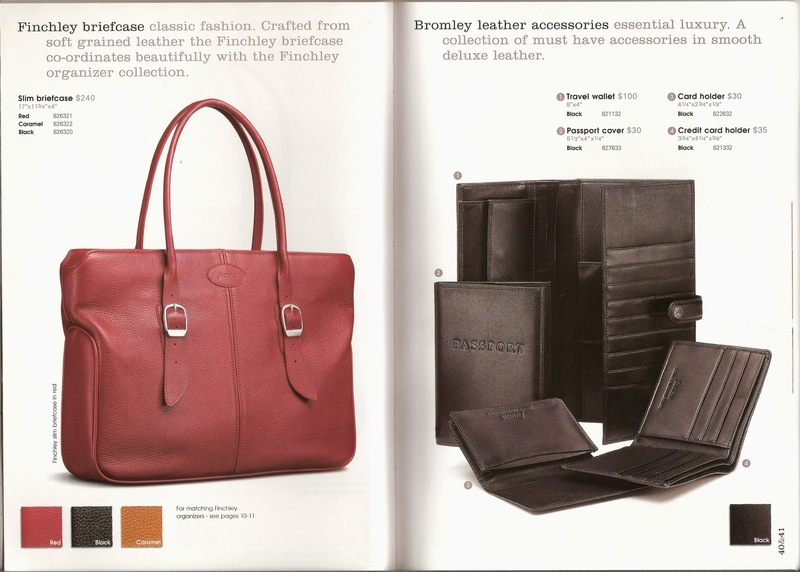 Just keep searching to fund your perfect planner system. And enjoy the journey. It’s freaking wonderful. I love that there is a community of planning nerds that even my nerdy husband can’t understand. People thinking a lot about planning their lives, their days, their weeks, goals and dreams. I’m so glad I found you!!! I need more Gillio at the moment to feed my addiction. More Gillio YouTube set-ups please. But thank you for creating and supporting this wonderful community that allows planning nerds like us to come out at night. Bon Iver, For Emma, Forever. My eldest is Emma, but an old school colleague talked about this album being the soundtrack to Saturday morning at a café, watching life go by and I couldn’t agree more. NOOOOOOO!! I would love to attend one in Canberra, Australia. Fellow Australians – no need to hide any longer. Actually it was my 14 y.o.’s birthday last night, so it was Guardians of the Galaxy. But the one that I went to before that, willingly, as an adult was Lucy (disappointing) and The Trip Italy (laugh out loud funny). The Minimalists, Everything That Remains. Fascinating book for those of us who are fed up with our current consumption patterns and are keen to do something different (planner obsession excluded). I got rid of 546 items in my house within one month. 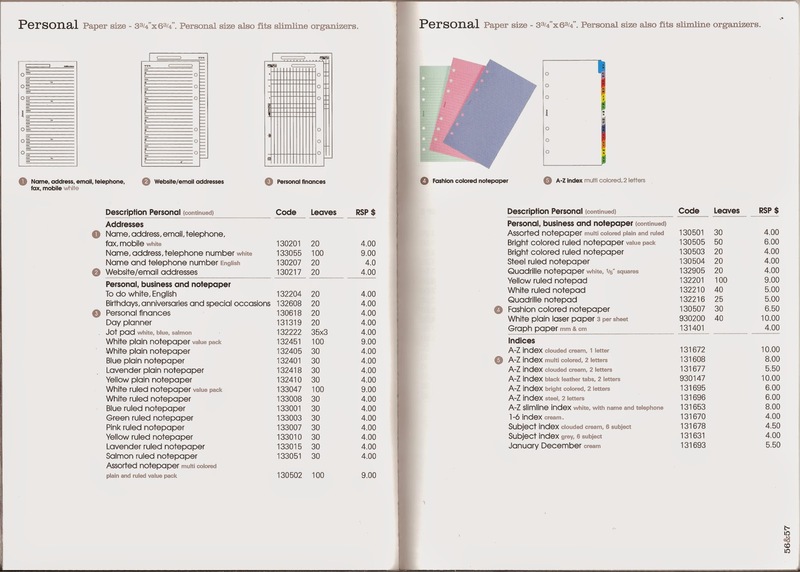 And my original Filofax fluro-pink helped me immensely, to get this big job done. Neither. Was pretty keen on David Tennant but after catching the first episode of the new Dr Who I’ll take either my husband David or Peter Capaldi. Thank you Kirsti. And if you would like to be part of this continuing feature on Philofaxy, please contact philofaxy at gmail dot com. There are still places available for the Philofaxy meet up in London on Sunday 9th November if anyone is interested. Return of The Malibu + The Quest Continues - Yay, for Fridays! My Personal Saffiano Set-up! - Living Life With A Planner!! September seems to have gone past very quickly, the weather here is starting to rapidly cool down as we go in to Autumn. 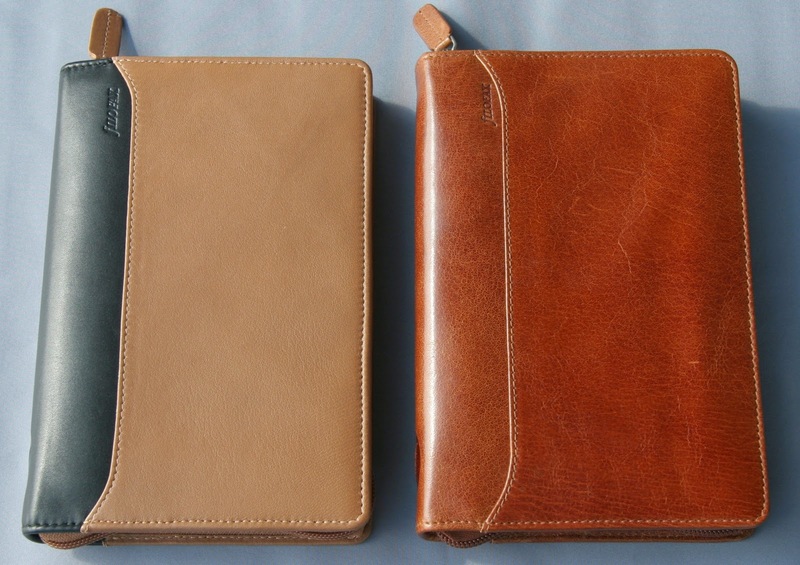 I've managed to get all of my diary inserts printed off for 2015 and ready for the new year. Are you ready for the new year yet? 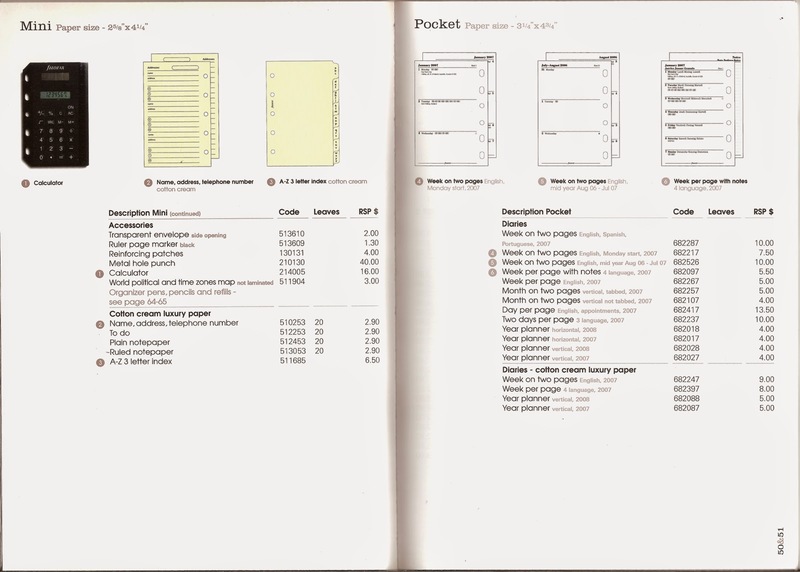 And as it is Friday of course feel free to discuss anything Filofax related. 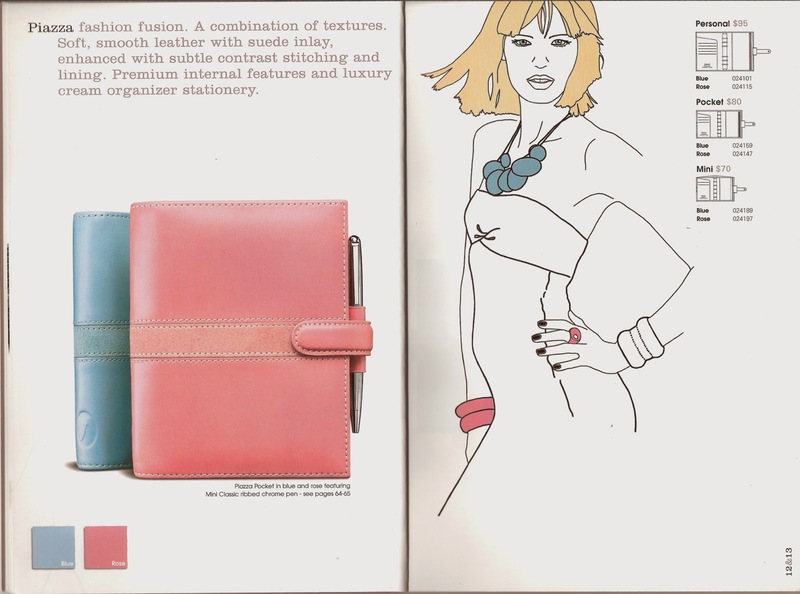 Filofax Nappa Review and Giveaway. 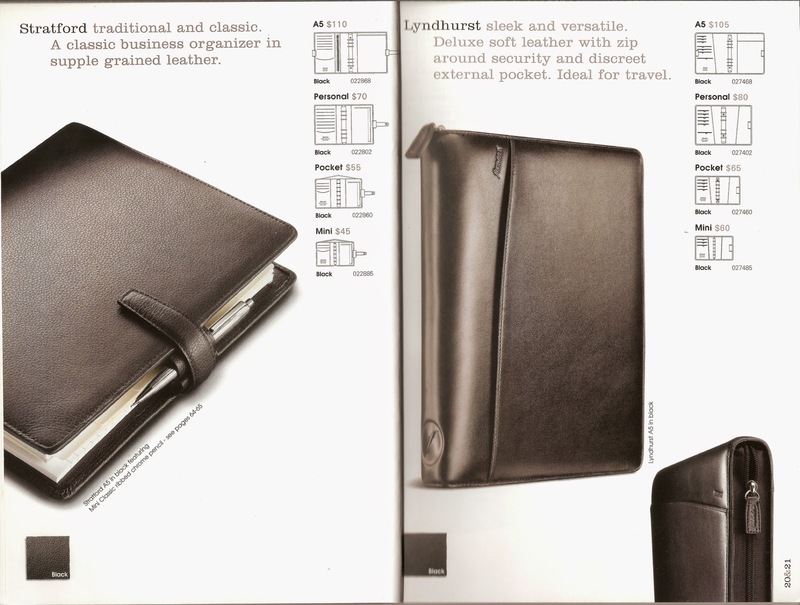 Like the Lockwood the Filofax Nappa organiser is a new addition to the Filofax range this year. With the kind help of our friends at Appelboom in the Netherlands, I have been able to have a close look at a Zip model of the new Nappa range. 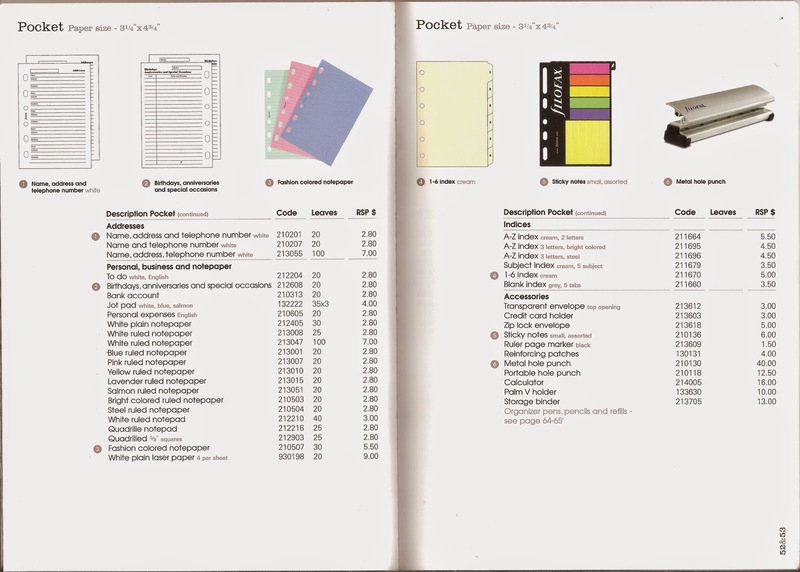 Appelboom have a great range of Filofax and other brand organisers as well as a wide range of pens, all at competitive prices. 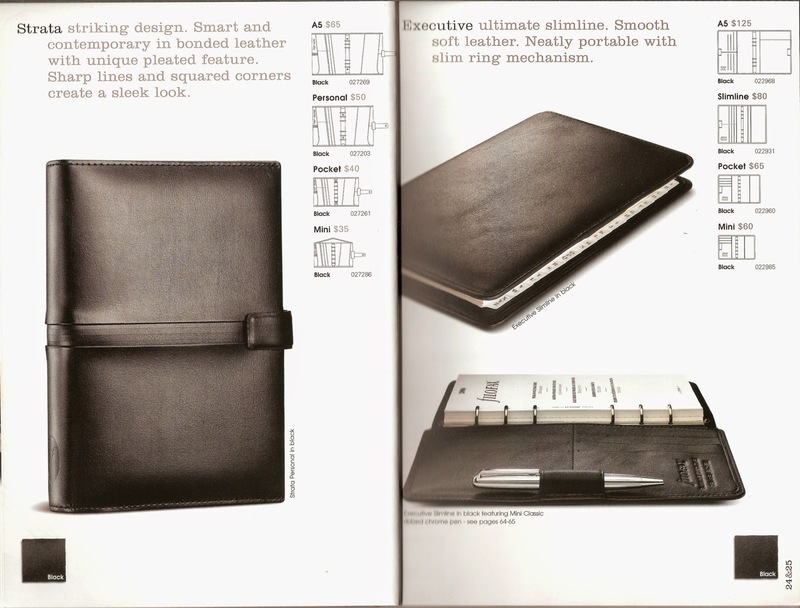 I hadn't spotted it from the Filofax catalogue photos but the Zip model is the the same design as the Filofax Lockwood Zip that I reviewed recently. 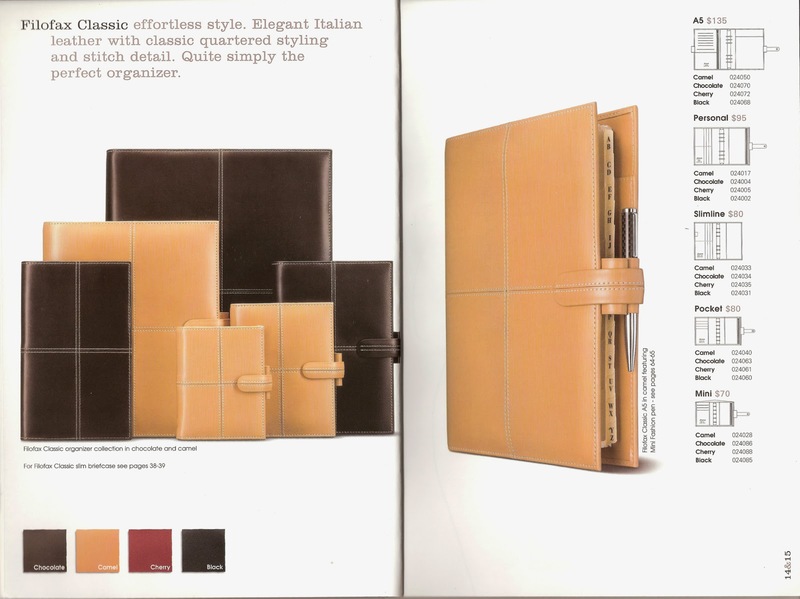 In addition though the Nappa model comes in zip and clasp closures, where as the Lockwood is just zip at the moment. 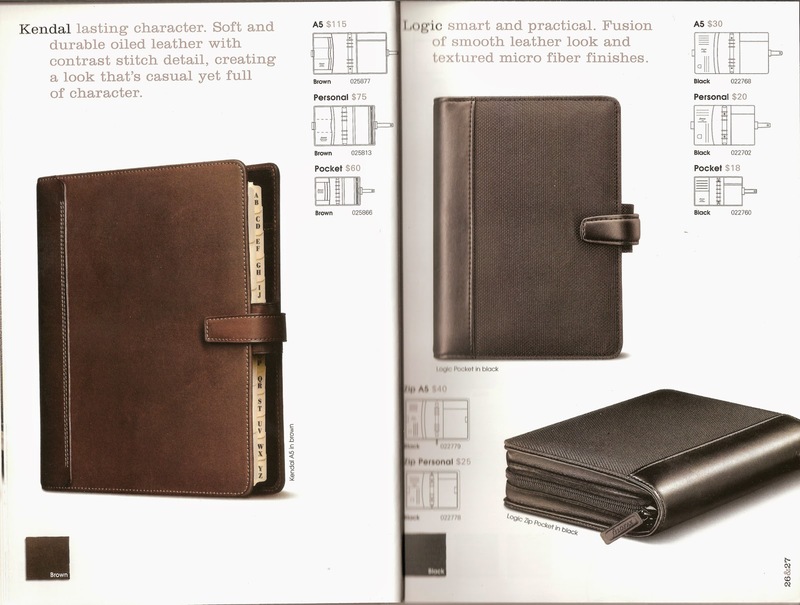 So this particular Nappa organiser is the Taupe and Black Personal Zip model. 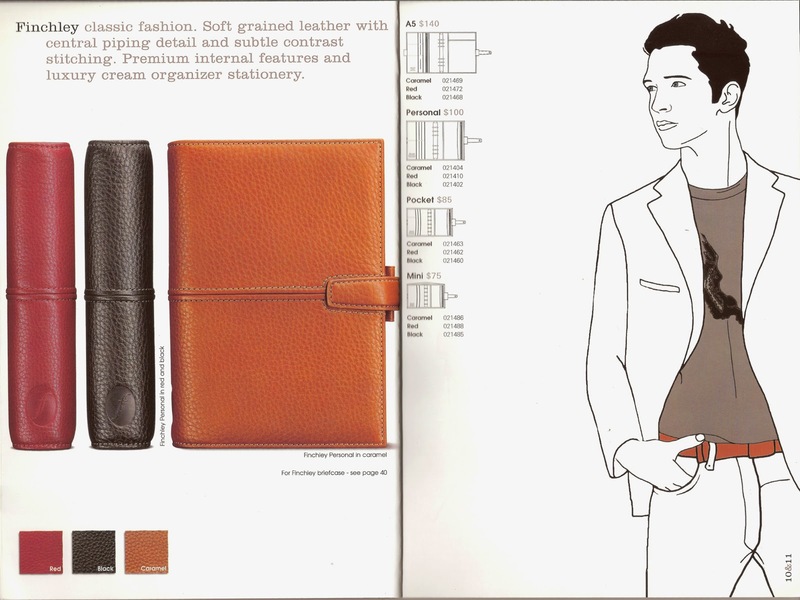 Shown here along side the Cognac Lockwood Personal zip. 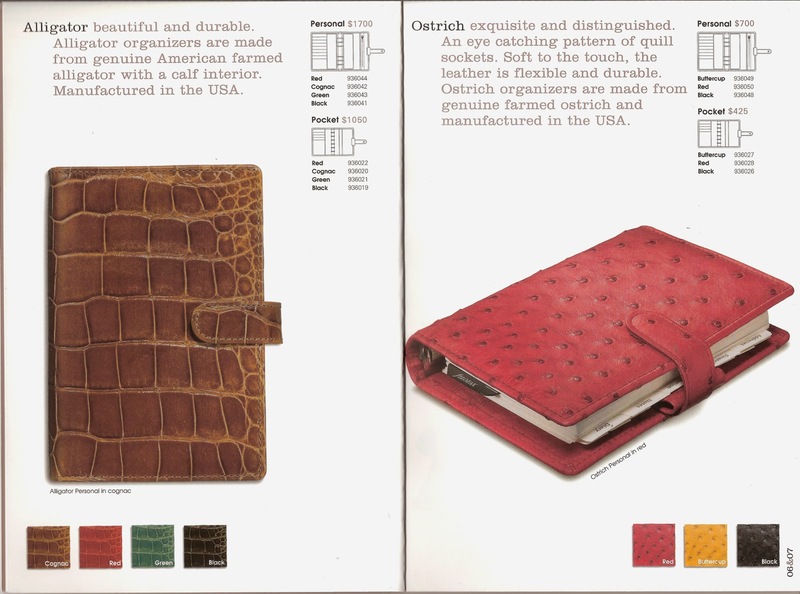 As you might see it has the same slip pocket on the front outside cover. 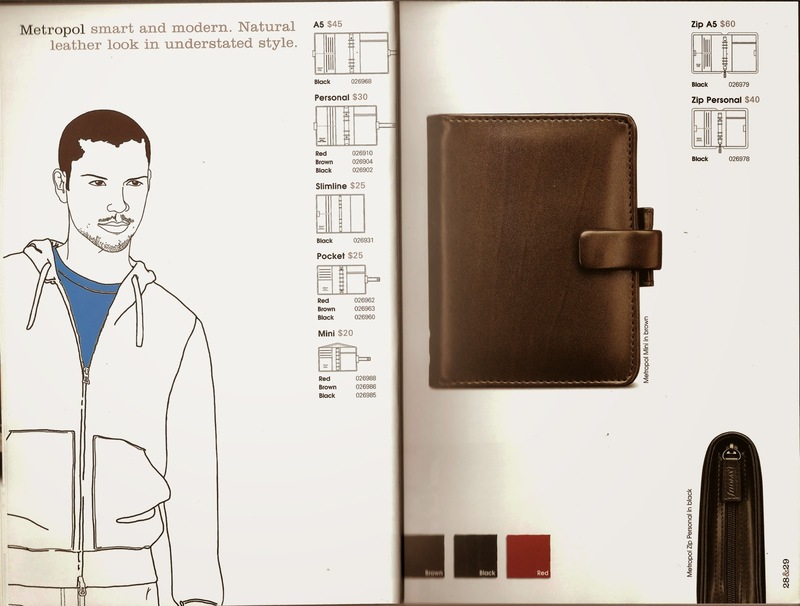 And the zip pocket on the rear outside cover, like the Lookwood both pockets are only really intended for documents. 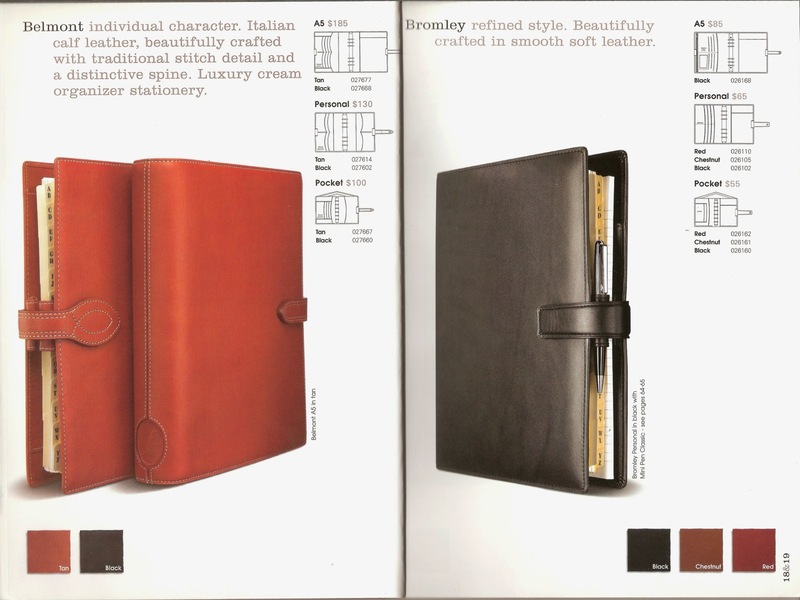 Internally there are 4 card slots and a full height slip pocket on the inside front cover and a full height slip pocket and elasticated pen loop on the inside rear cover. 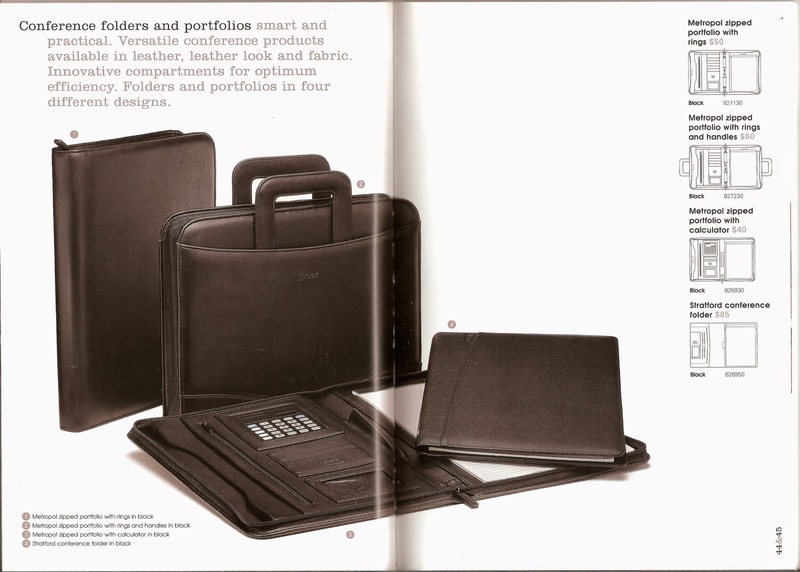 Like the Lockwood personal it was good to see that the Nappa organiser lays quite flat with the minimum of training. 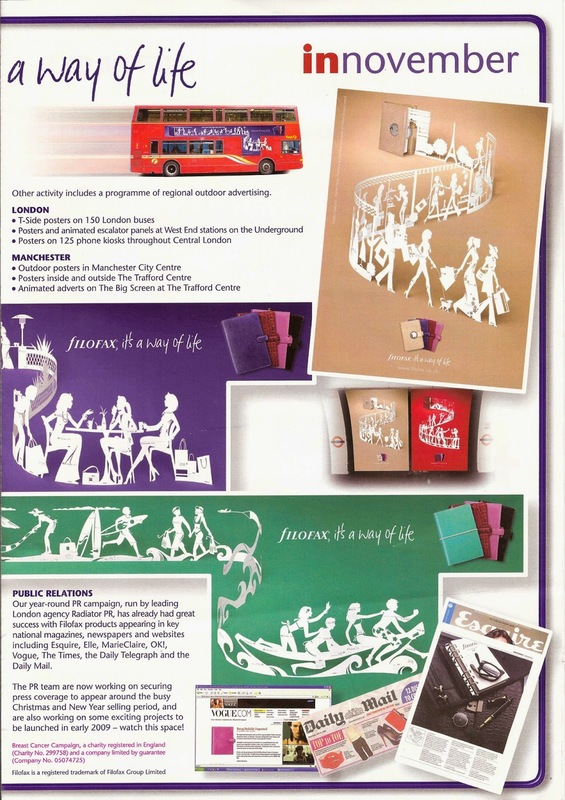 With inserts in it lays even flatter than shown in the photograph. So how does this compare quality wise? 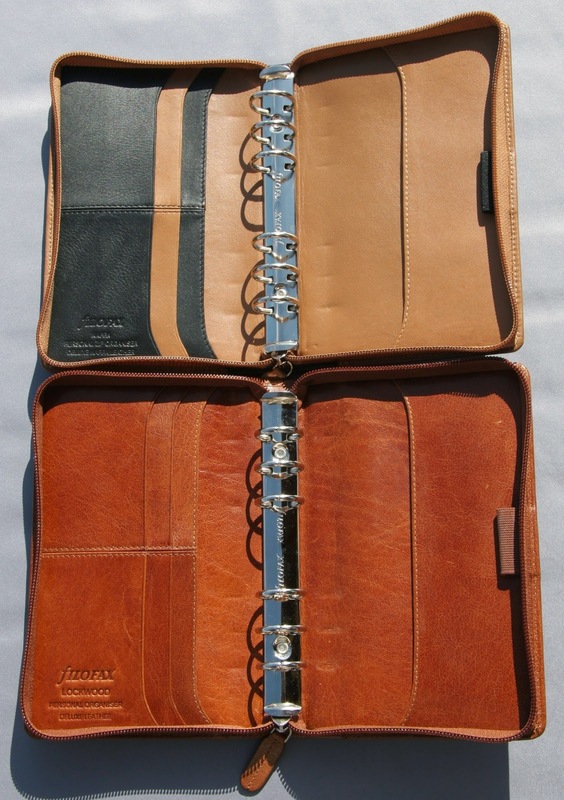 I've not had a chance to use this one, but in my expert hands the leather is quite nice in terms of touch. 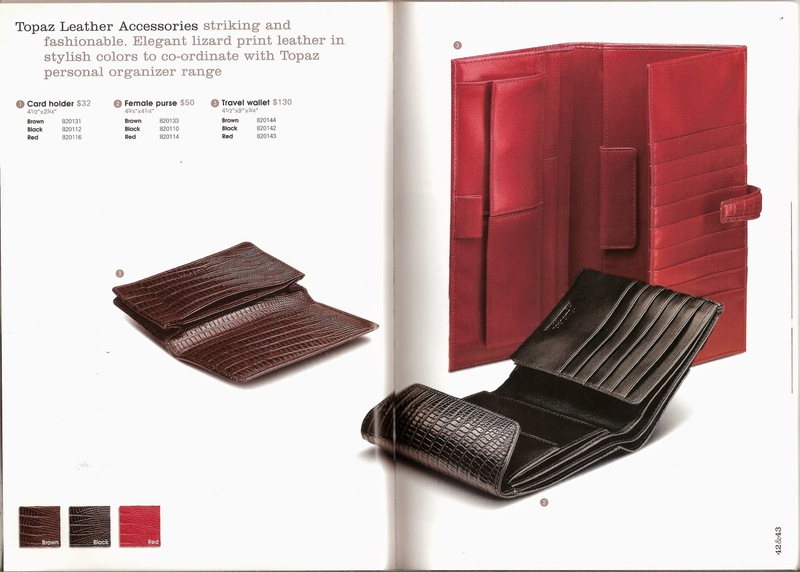 Although it is nappa leather, it doesn't have the same tactile touch as my Van der Spek organisers, which are also in nappa leather, but there is a bit of a price difference I suppose. However, the quality of the stitching on this model is what I would expect to see. 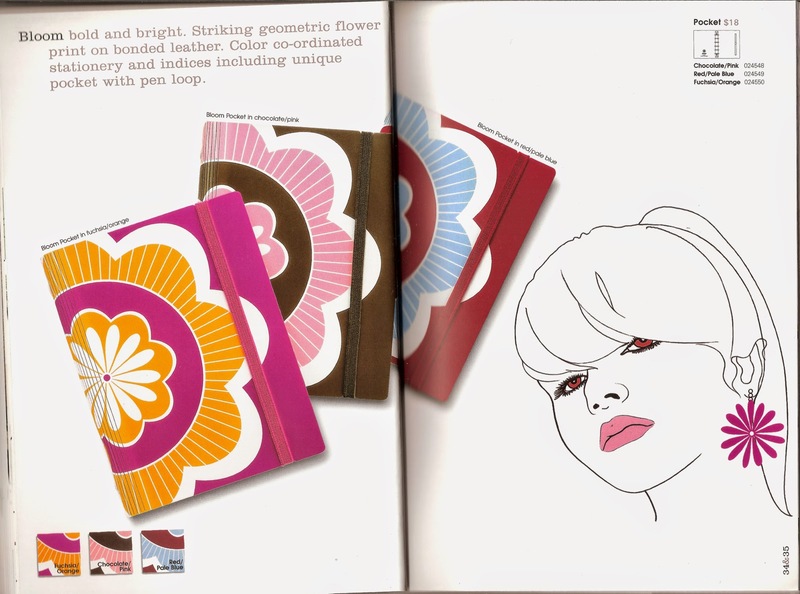 The rings are the usual Filofax ones. The leather doesn't mark as easily as the Lockwood does, that shows up finger scratches very easily, they disappear easily of course. So the Nappa will be quite hard wearing I would think. So it should with stand daily use a lot better than some other organisers. 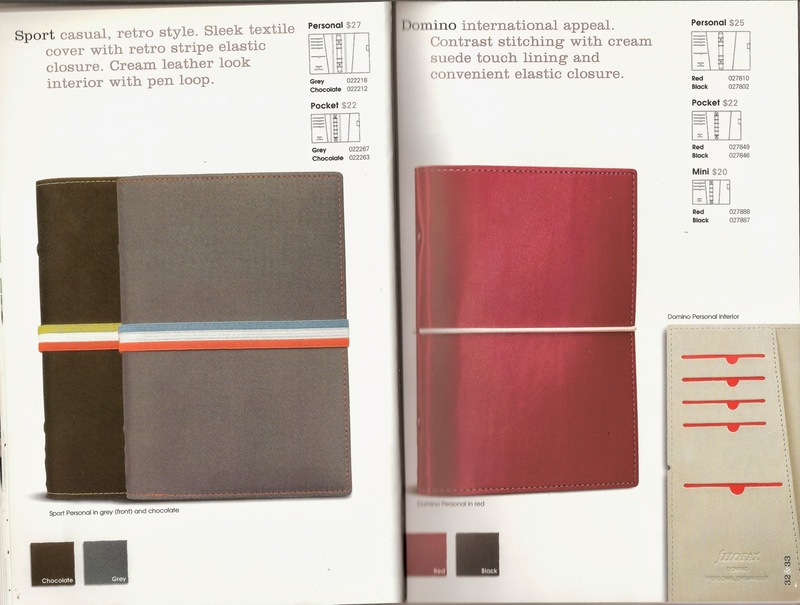 The Nappa organiser comes in Personal, Personal Zip, A5 and A5 Zip and in a variety of colours too. All black, chocolate and blue, taupe and black. 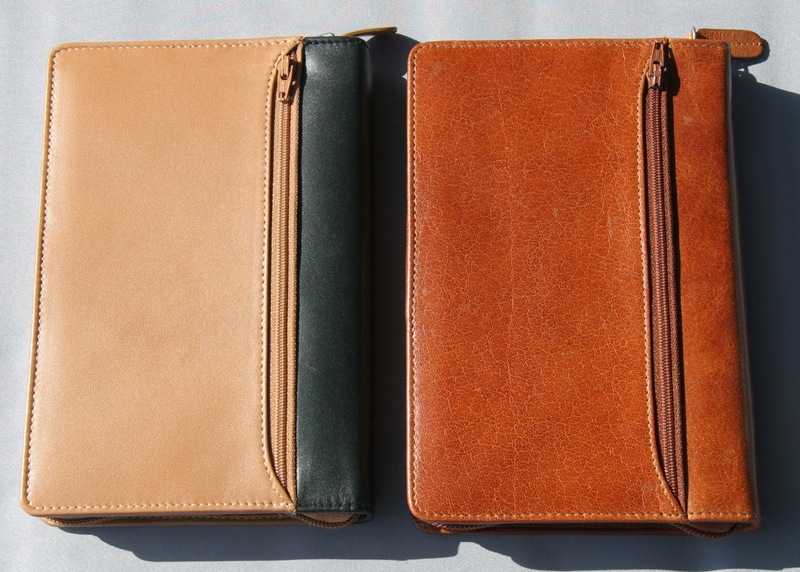 the three colour combinations are available in all four variants too. 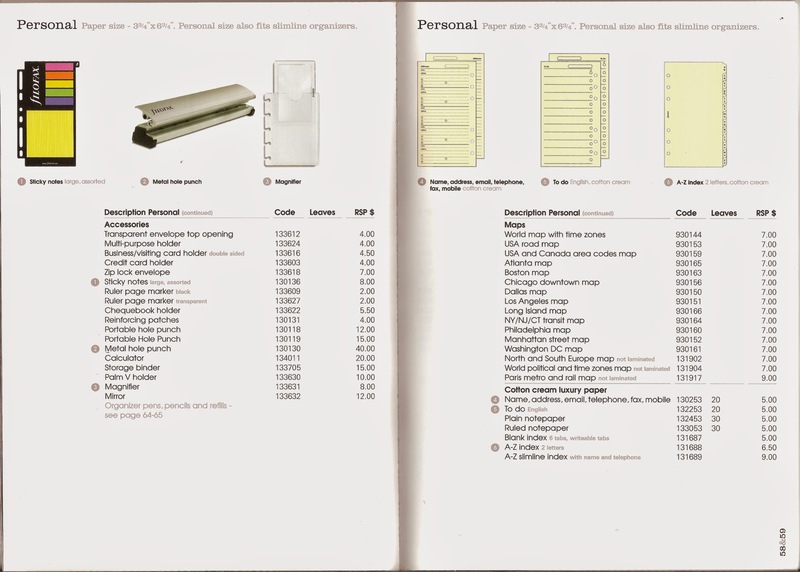 Prices on the Filofax UK website vary from £70-£75 for the Personal/Personal Zip sizes to £95-£99 for the A5/A5 Zip sizes. However, those of you not living in UK would be better off ordering from Appelboom in the Netherlands, because their shipping rates are much better. 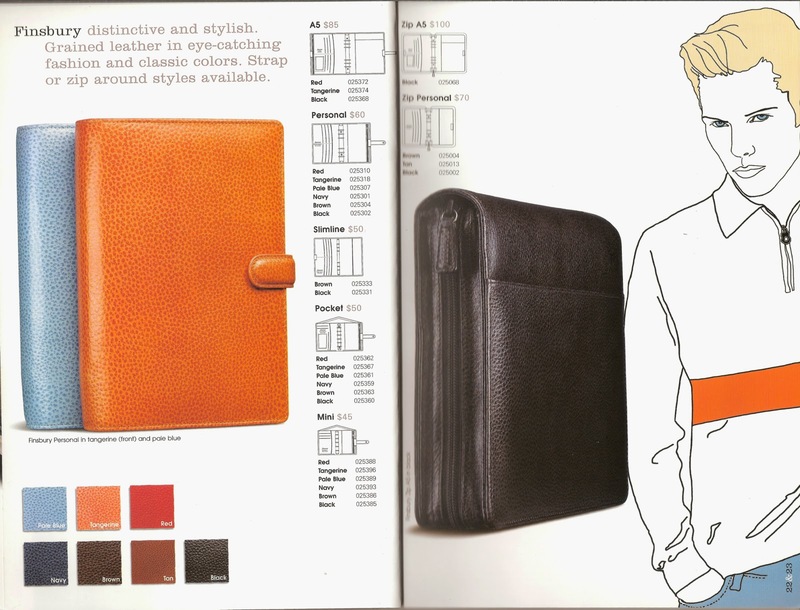 However, before you go rushing off to order one, I have this Nappa personal zip available to give away to one of our lucky readers. 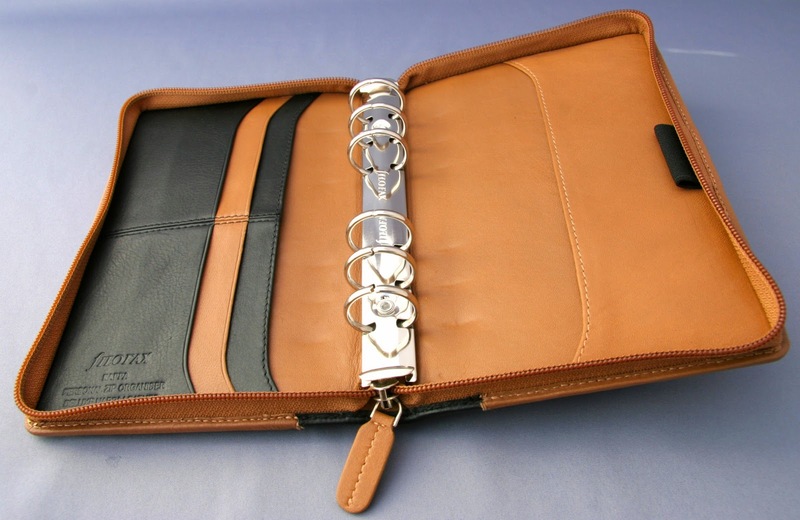 Comment on the blog below and I will pick out a readers comment at random to receive this Nappa leather personal zip organiser and the standard inserts it came with, plus I will add in some Philofaxy cards. Please post your comments by Midnight on Sunday 28th September 2014, that is mid-night Paris time and I will announce the winner on Monday afternoon. The usual rules will apply. Your comment must be on the blog... not on the Facebook post. You are allowed to comment more than once, but you will only get a single entry to the draw. No cash alternatives or substitutes. The prize draw is open to all readers worldwide. You will be given until midnight on Tuesday 30th September to contact Steve with your address so it can be posted to you hopefully on Wednesday morning, details will be in the announcement on Monday. Again thank you to Appelboom for supplying this example. Twitter amongst our 'community' has continued grow with more and more readers joining in. It was a couple of years ago since we last did a 'roll-call' So if you are on Twitter, why not let us know who you are and we will 'follow' you and you can join in the daily fun. 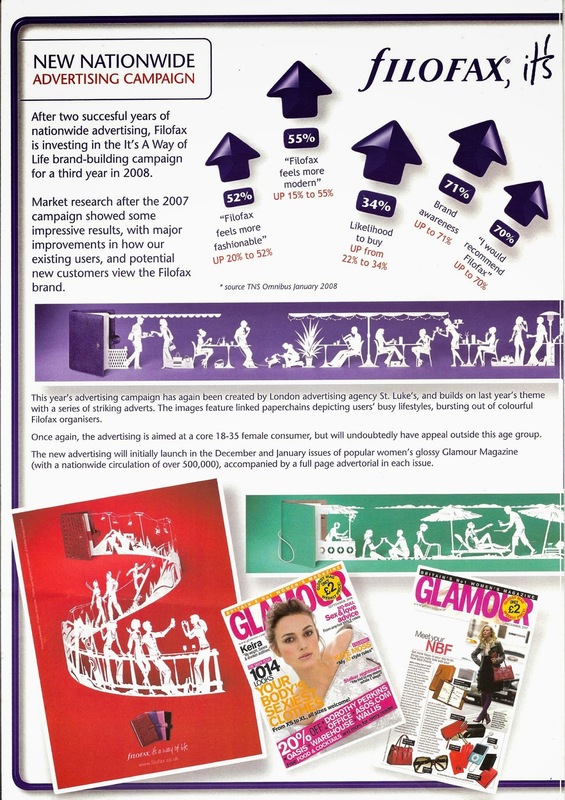 Of course don't forget to follow Philofaxy on Twitter to see instant news of site posts and other updates. 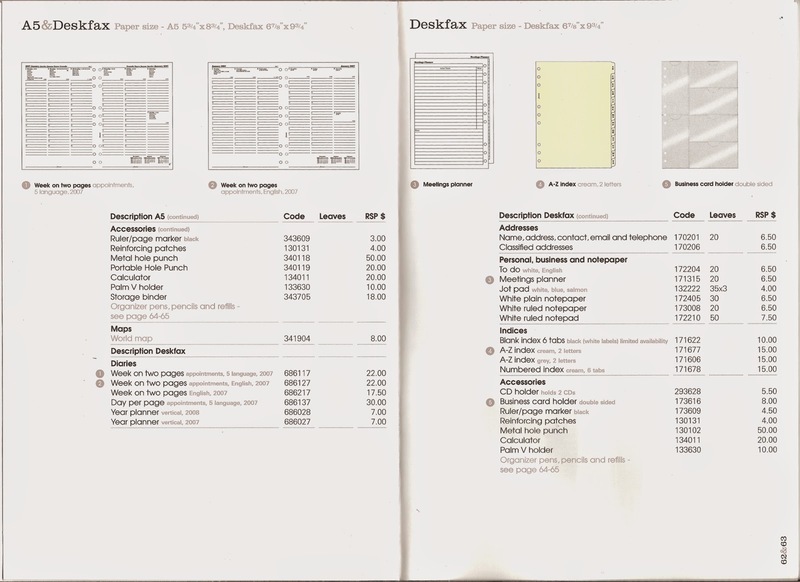 There is also PhilofaxyNews which is a bit of an experiment 'Filofax news feed' which I've been trying to perfect. If you aren't yet on Twitter, then give it a try, as you build up the people you follow and those that follow you then it actually does work quite well. 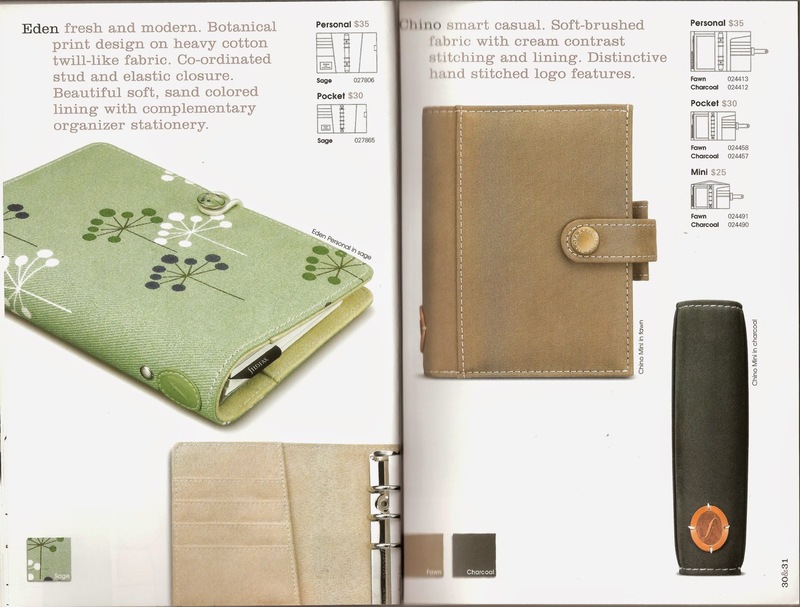 Today we are sharing the Filofax USA 2006/7 catalogue. And you can view these scans in higher resolution on Flickr.